Earlier this month, we shared news of Pedigree's Every Dog Deserves campaign. The program included Pedigree's donation of 100,000 pounds of food to help shelters across the country AND the generous offer of donating $1,000 to the animal rescue group of our choice. Today, we have the priviledge of announcing the recipient of our $1,000 donation made possible by Pedigree. Because we believe Every Dog Deserves a loving home, and because we want every Havanese to have the chance to live the life of Cosmo, the recipient of our $1,000 donation is Havanese Rescue Inc. (HRI). We've met so many wonderful people in the Havanese community, and we all share the opinion that our Havs are wonderful, funny and smart little companions. And while it's hard to believe that any of these delightful doggies could wind up being homeless... sometimes they are. All the volunteers at Havanese Rescue work tirelessly to make sure that homeless Havanese and Havanese mixes are provided with the attention, care and medical treatment necessary before they find their forever homes. We had the chance to chat with HRI President Karen Grant about Havanese Rescue. TDWL: How and why did Havanese Rescue start? Karen: Havanese Rescue Inc., officially began its mission on August 1, 2004 to save, heal nurture and find loving homes for rescued Havanese. TDWL: How does HRI help homeless Havanese? Karen: HRI helps them overcome obstacles, both large and small, before they are placed in wonderful forever homes. Some only need a new home, others need surgeries or training to overcome behavioral problems or just the loving care and time to overcome internal fears. National Specialty. More about the quilt project here. TDWL: What do folks need to know about adopting a Havanese through HRI? 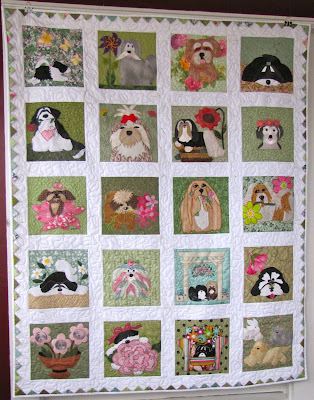 Karen: Everything pertinent to each particular dog is considered and balanced to find the perfect family for each dog. Each HRI dog has spent time living with a foster family who has taken the time to evaluate the behavior, health and needs of each dog before placement. 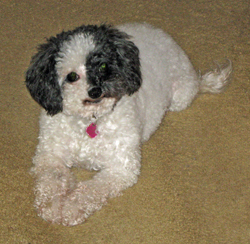 TDWL: How does HRI raise funds to support Havanese Rescue and how are the funds used? Karen: Funds are raised through straight donations, an online auction, a quilt raffle, sales from the Hav2Havit store, an annual appeal, and a silent auction and drawings at the HRI Reception held during the yearly HCA National Specialty. The funds are used for medical/veterinary expenses, transport, supplies for the dogs, shelter fees, grooming, boarding and other expenses. TDWL: How can people donate or support Havanese Rescue? Karen: HRI currently welcomes your donations via PayPal, Network for Good and regular U.S. Mail. HRI is always in need of more volunteers and foster families. TDWL: Where should people go for more info? You can also find Havanese Rescue on Facebook and Twitter. Thank you Pedigree for helping us help the Havanese who need it most! A huge thank you to Pedigree and the owner of this blog! Thank you so much for your generous donation! As an HRI volunteer, I see firsthand how much love, care, and money it can take to get a pup ready for adoption. Two of my HRI fosters had liver issues. HRI didn't think twice about spending the funds necessary to diagnose and treat them. Both dogs are now in wonderful forever homes. Thanks again! Thank you to Pedigree - HRI is a wonderful organization, run well by a great group of dedicated people across the country. The group have helped countless Havanese dogs over the years and this donation will greatly help their cause. Thank you. Diane and Cosmo - you both ROCK!!! Thank you so much for your generosity to Havanese Rescue and helping us to change lives..... one Havanese at a time! Thanks so much for this generous donation. HRI does such wonderful work for our Havanese. I don't know what our dogs would do without them. thank you so much for your generous donation to HRI. It will certainly help us to achieve our goal of helping the dogs in need. You and Cosmo rock. Thank you for being HRI angels. Thank you so much for this wonderfully generous donation! The need for rescue grows each year. It's wonderful to see the transformation of a Havanese from one who's scared and tentative to one who plays and loves with abandon. HRI helps that happen. It's why we came together and it's what keeps us going. 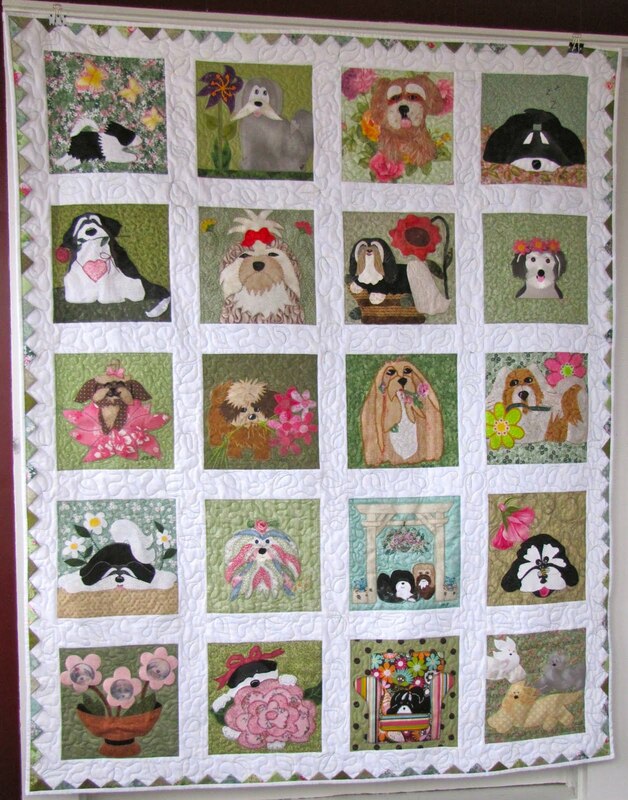 Thank you so much for supporting Havanese Rescue with this wonderful donation. 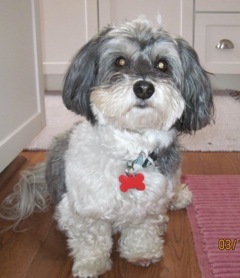 Vivi and all the other Very Special rescued Havanese thank you for thinking of their needs. Cosmo's cousins send big licks, wags, and barks! Thank you so much for directing this generous donation to H.R.I. Unfortunately our needs grow and grow, but it's people like you who find the way to help us help as many needy Havanese as we can. Also, thank you for this lovely blog. I'm not that familiar with blogs in general, but this one is a wonderful exposure to them, and another form of helping HRI! You rock (and so does Cosmo)! help so many animals who need it most, and i'm especially grateful for the support we've received from Pedigree. We're planning to be at the Havanese National. Hope to get to meet some of you there! I am having a dog sweaters, dog beds, collars and leashes, chic carriers for Cats Company of different brands. I want to create my profile on Mastersteek as I have seen that Four Paws Dog & Cat Grooming us profile is getting really good client’s through their company profile on masterseek.